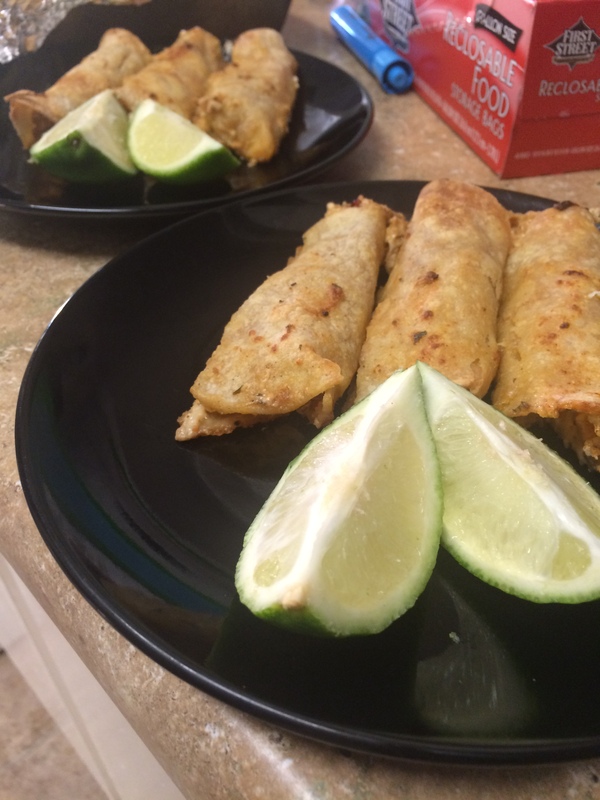 Another one of my favorite things to make that can be made both ways is taquitos! I’ve made this a couple times for Thomas and I and he absolutely loves them! Last night was lucky Tacquito Tuesday night so these pictures are from then 🙂 First, as usual, drain your tofu by wrapping it in a towel. After the tofu is completely drained, cut it up into small bits and pieces. 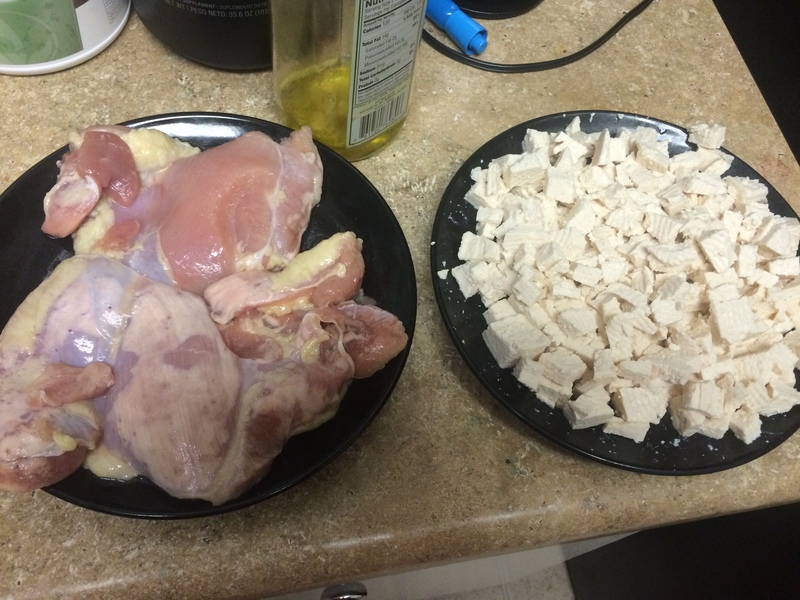 Cut up the chicken into strips or pieces, whatever you’d like because you will be shredding it after cooking anyway. 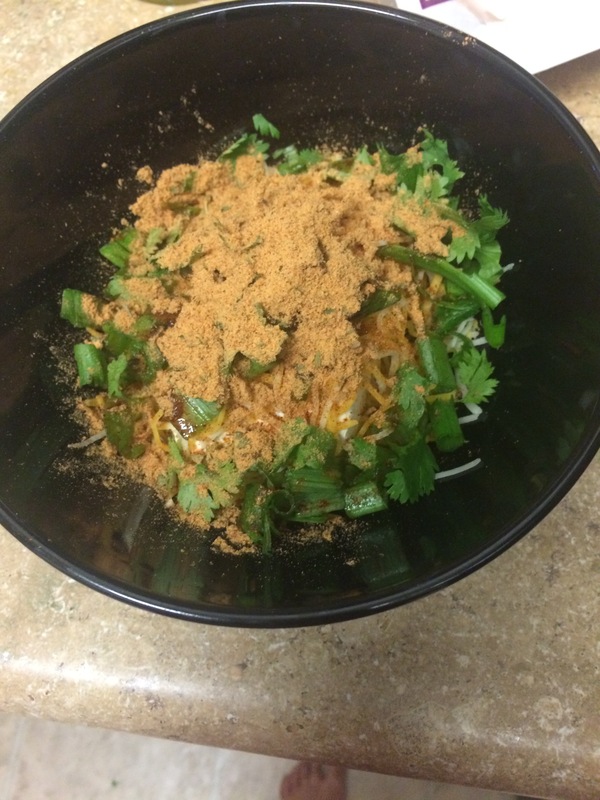 While the meat and tofu are cooking, combine the filling ingredients in two separate bowls. Combine the cream cheese, green onion, cilantro, cheese, and the remaining fajita seasoning. Once the tofu is finished, just place it directly into its bowl of filling ingredients and stir right into it, making sure the cream cheese is softened and all ingredients are mixed together thoroughly. I like to do this with either a fork or with my hands. 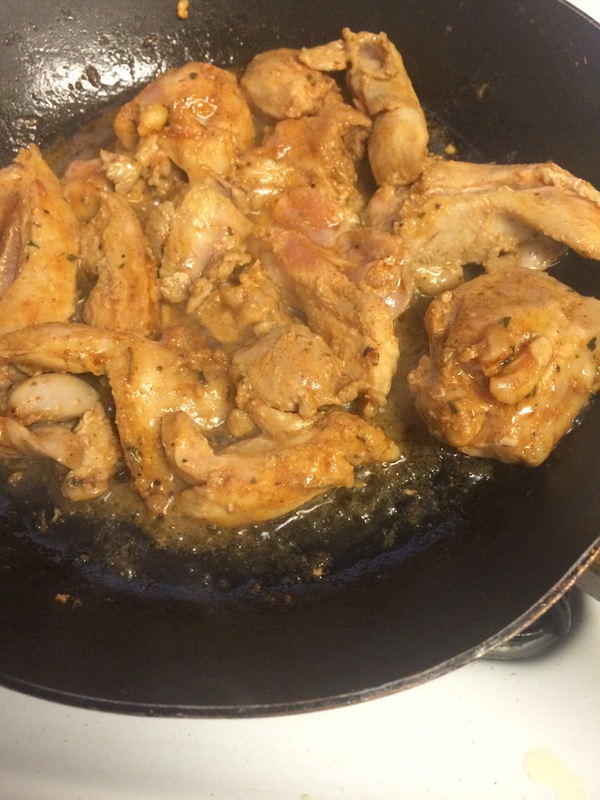 Once the chicken is finished, place it on a plate and let it cool. Once cooled, begin to shred the chicken and then place into its bowl of filling. Mix all the ingredients together well. It’s time to preheat your oven to 375 degrees! Heat the tortillas in the microwave just enough to soften them up so that it is easy to roll them. 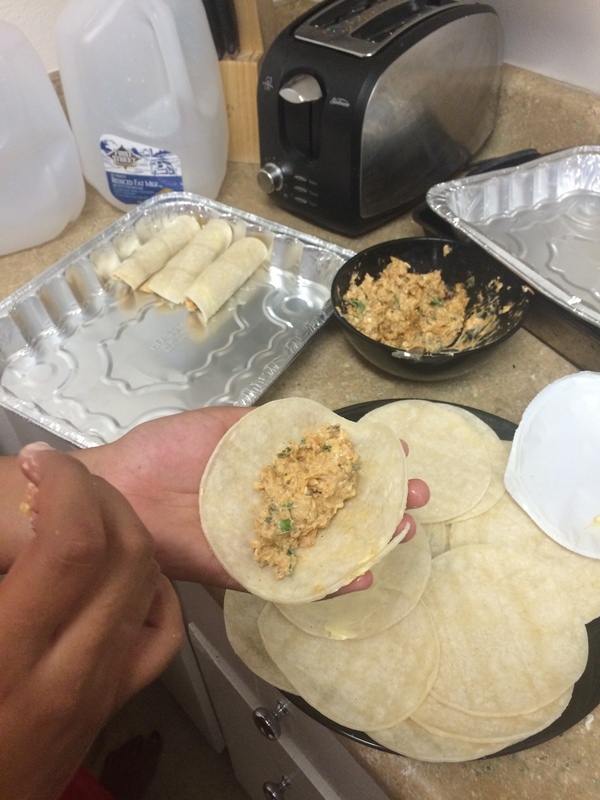 Start by filling the tortillas with the tofu filling until all of them are done, then continue on and fill the other tortillas with the chicken filling. Roll them up nice and tight and place the open end down. Once all of the tortillas are lined, place into the hot oven for about 25 minutes or until browning. Try tapping a knife or fork on the tortillas and if they are hardened a bit, they’re ready to come out! Serve with some salsa and some lime and enjoy! These are AMAZING as leftovers the next day too! Be sure to serve with a bit of salsa on top and a lime or two on the side…they also taste amazing as leftovers for the next couple days!